At first glance, you may think these lanyards were intended to use for house pets, but don’t letthe name fool you. PET actually stands for Poly-ethylene Terephthalate (also known as RPET, Recycled Poly-ethylene Terephthalate). They are eco-friendly lanyards made from plastic materials that have been recycled. Some of the items that are recycled to make this material include plastic bottles, plastic containers, and even used car parts. Recycled pet lanyards are commonly used by companies that sell eco-friendly products and/or services. Although recycled PET lanyards are predominantly used by businesses that are already eco-friendly, they are common among a wide range of other types of businesses as well. They are used by high end corporate companies, security companies, hospitals and much more.These days, there are a lot of people that are environmentally conscious, so associating your company with an eco-friendly product will reflect positively on your brand. You will be doing your part for the environment, while drawing in consumer interest. 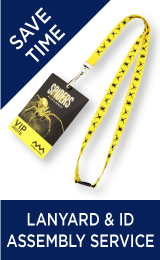 Printed lanyards are our most popular lanyards. 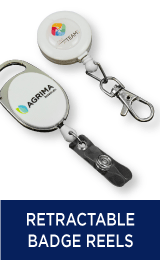 Your company name or logo can beimprinted on each lanyard in your order, in up to 4 pantone colours. Most of them come with a standard J hook fitting, but there are other fittings available. We have several standard colors available, but we can also match most of our lanyards to almost any color you’d like. 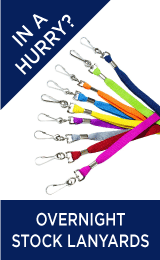 We want to make sure that the colour of your lanyards will match the colours of your company logo or brand. The PET lanyards are also somewhat fire safe. They melt when they come in contact with a flame, as opposed to igniting and causing more of an issue. They are also easy to keep clean, and extremely eye-catching. All of our lanyards can be customized with a company name, business name, event title, logo, phone number, or brand name. You can even have a website imprinted on them. Our PET lanyards are available in a wide range of colours, so you can pick the colour scheme that best fits your business or brand. We also use pantone coloring which provides vibrant, long lasting colors. We have additional fitting customization options for you to choose from as well. The fittings that we carry range from traditional fittings that are used for holding an ID, such as the trigger clip or crocodile clip, to fittings that have an additional feature, like the whistle fitting or adjustment bead. We also carry safety clips that allow the users to quickly release the lanyard from around their neck if need be. The whistle fitting is very popular among sports teams, cheer-leading teams, and schools. Most companies and businesses that require their employees to carry company cards on them on a daily basis, provide them with a lanyard to keep their company ID on at all times. If the company does not provide a secure place to keep the company ID’s or security passes, they will most likely get lost or damaged. If you’re constantly having to replace damaged employee IDs, you will end spending needless money. 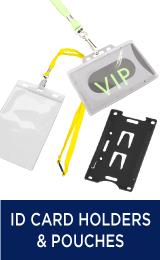 Providing branded lanyards will cut down on the cost of replacement cards, while giving your company a promotional boost. All of our recycled plastic lanyards come with a price beat guarantee, which means we will lower our prices if you find these lanyards at a cheaper price somewhere else. We also have a team of highly qualified designers that will create a virtual sample of your order. The virtual sample will be sent to you for approval before production begins. That way you’ll be completely satisfied with what your order will look like when it arrives. If you need your order of recycled lanyards as soon as possible, you can choose to have your order rush delivered to you, (conditions may apply). These recycled PET lanyards are truly unique, and can be extremely beneficial to any company or event. There are some obvious features that these lanyards share with all of our other lanyards. 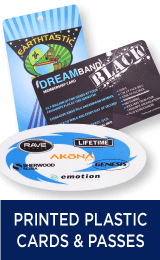 The similarities are that they are both used by various businesses to visibly carry ID’s, badges, VIP passes, and more. However, there are certain qualities that the recycled PET lanyards have that most others don’t have. For example, they are quick drying, biologically damage resistant, and water resistant as well.